In 1976, the combo from my first band, San Francisco, was booked, through an incredible feat of mismanagement, to play in the lounge of the Alameda officers' club the afternoon of the Army-Navy game. The bar was crowded with young officers watching the game on TV, cheering a Navy advance, booing an Army recovery. In the corner was a quartet playing "Do the Hustle" and "Bye Bye, Blackbird." Every time we started a new tune, the patrons would shake their fists at us and tell us to shut the f**k up. A crazed lieutenant got in the bandleader's face. The bandleader said, "Just doing my job, sir," turned to the band and called up "A Foggy Day." We only lasted three or four songs. The club manager came up to the bandstand and asked us to quit. He was nice about it, and handed us forty dollars for our trouble. The occasion still stands out in my mind; it was, and still is, the only time in my life I have been paid to stop playing. A large public function took place today in the meeting room of the library where I work part-time. After everyone left, the room needed a thorough cleaning. Being the junior employee, I got the job. I spent the afternoon wiping doughnut crumbs off tables. I washed out the coffee urn. I moved stray chairs back to their proper positions. I vacuumed the carpet, emptied the wastebaskets and, on my own initiative, straightened out a few shelves. Finishing up, I looked the room over with a small sense of pride. The task didn't require advanced technical expertise, but it's important to keep a facility clean and ready for use. After the director looks the room over tomorrow morning, I suspect I'll get a compliment. I'll appreciate it, because I've only been there a few months and am looking for greater responsibilities. I'm 60 years old and finally learning how to be a good E-3. If you haven't signed up for Facebook yet, you're missing the party. Or parties, I should say. New groups of former and active duty MUs are popping up all over this fast-growing social networking site. Some have hundreds of members, others are just getting off the ground. 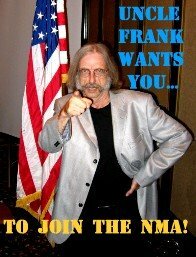 In the week since I posted Facing up to Facebook, I've started the Former U.S. Navy Musicians group. Every day, more former MUs have signed up. As shipmates discover the group, they spread the news to others. If you don't find a group you want, you can start your own within minutes. Then sent out a few invites and hope it grows. Nowadays, when I turn on my computer in the morning, I go to my home page at Facebook and automatically see what shipmates are up to. Here are a few groups. (I haven't provided links; you have to be registered at Facebook to visit them.) The first is the one I started, and the rest follow in no particular order of precedence. Former U.S. Navy Musicians -- "All former members of United States Navy bands--enlisted, officer, career MUs and one-hitchers--are welcome." Navy Band Orlando Alumni -- "If you were ever stationed there, ever wanted to be, or knew someone who was." U.S. Navy Showband Alumni -- "For All who served on board the U.S. Navy Showband "La Band Unitas"
Sixth Fleet Band Alumni -- "A forum for memories and news of the Sixth Fleet Navy Band, created for former members, families and friends of Navy Musicians." U.S. Navy Band San Francisco Group -- A group created "to try to preserve the memory of the great US Navy fleet band stationed on Naval Station Treasure Island in San Francisco, California." School of Music Staff Lounge -- "Staff & Faculty of the Armed Forces School of Music." NAB SOM (Naval Amphibious Base School of Music) -- "For those motivators who went and currently go to the NAB SOM and want to get in touch with one another!" U.S. Navy Band -- "This is a group for sailors who are a part of a Navy Band, and also for their friends and family who support them." Military Musicians -- "This Face book page is for all members of military bands, past and present." I've avoided the Internet's social networking sites for years. The way I figured it, my life had NoTime for MySpace. But I kept getting online invitations to Facebook from NMA shipmates. Finally, I broke down and registered for the site. What a surprise it's been. Facebook is an easy-to-use method of tracking down old shipmates. Yesterday I found and contacted a former student who went through the Basic Course when I was an instructor in the early 80s. Shipmates will find you, too. I've been found by a friend from San Francisco, my first band. This weekend, we had an online chat, our first communication in--gulp--32 years. Some former MUs have started Facebook groups. I've joined the Navy Band San Francisco group. Alumni of the Sixth Fleet Band have a group, as do those of the U.S. Navy Showband. I'm also meeting MUs on active duty. I'm now in touch with a piano player and an MUCS from the 7th Fleet Band, the guys who are doing my old job (and welcome to it). Everybody posts photos of Navy bands, old and new. That kid I taught in the Basic Course? He looks mighty sharp in the uniform of a Senior Chief Petty Officer. Facebook is a tremendous place to meet old and new shipmates. You'll have to register to use the site, but it's quick and easy. Once a member, you can search out friends and groups, just as they'll be searching for you. New friends recommend other friends, and on and on it goes. I guess you'd say that, now that I've tried social networking, I've made an about face.